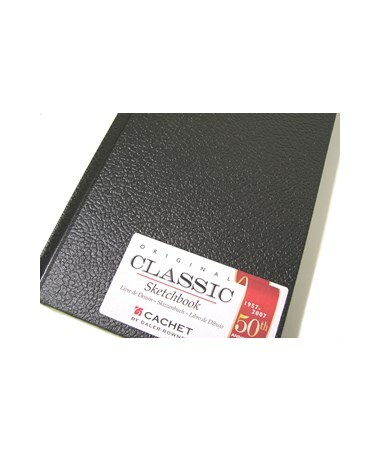 The Cachet Classic Black Sketch Book is a perfect tool for drawing, writing, doodling, scrapbooking, and many other applications. 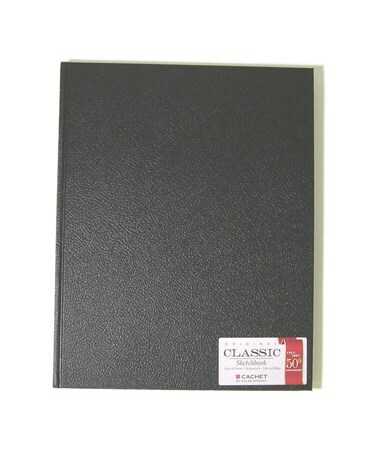 This elegant notebook features a hard, black cover that prevents its pages from being soiled or bent. This embossed cover is water-resistant providing ultimate protection to important notes, drawings, mementos, and more. This hard-bound sketch book includes 94 up to 110 pages of high-quality, 70-pound paper. 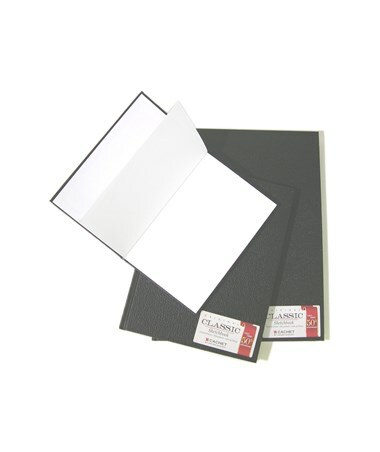 Each sheet accommodates ink, pencils, markers, and pastels without bleeding through. It is also excellent for pasting in printed materials such as charts, diagrams, photos, and many others. Acid-free and pH-neutral, it is archival quality. 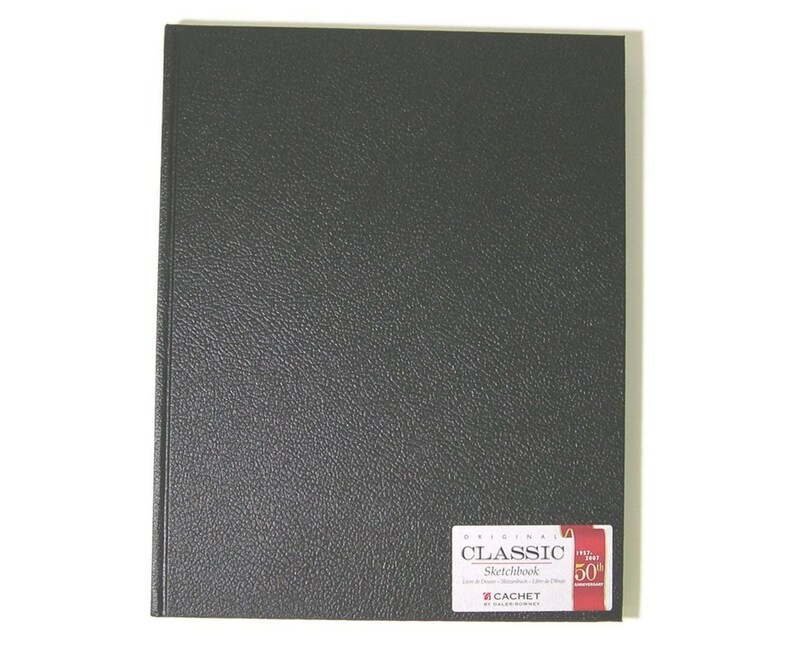 The Cachet Classic Black Sketch Book is bound for durability. Its sewn pages are designed to remain intact for a long period of time. It offers six different sizes to provide solution to most writing, drawing, and sketching needs. 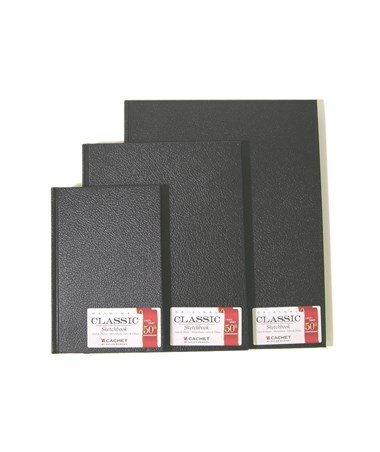 Available sizes are 4"W x 6"L, 5 ½"W x 8 ½"L, 6"W x 9"L, 8 ½"W x 11"L, 11"W x 14"L, and 11"W x 18"L.
The Cachet Classic Black Sketch Book comes in six different sizes to suit various drawing needs. Please select your preference from the menu above.